I may have mentioned a little while back that I’ve just begun to study Brazilian Jiu Jitsu. While I’m just getting into it (I started at the behest of my good friend The Welshman, who is enthused, to say the least), I’m already getting some valuable insights on the nature of leverage and how important the hips & legs are in producing the same. 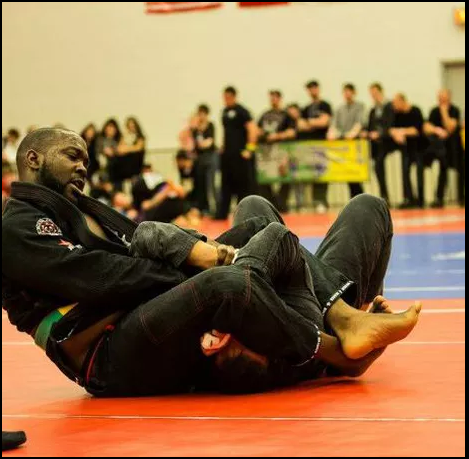 I was introduced to the top mount arm-bar submission last evening by my excellent instructor (Jason McDonald – whom I call “Prof J” – of Elemental Jiu Jitsu, who has just open his own dojo in Ajax, Ontario), and when I went through the steps, it was much different from any impression I’ve had of what you do to exert the leverage needed to force a submission. Basically, even though it’s called the “Arm-Bar” and of course includes using your arms and hands to control a captured opponent’s arm – the leverage that creates the irresistible force capable of severely damaging the limb… comes from the hips & legs once the arm is under control! As I’ve said in that video and in other videos, people are afraid of that pure down move because they’re afraid they’ll hit it fat, so they turn needlessly with the upper body (bad) or try to swing using the arms and hands (also bad), when all you have to do to not hit fat is to keep the weight transfer moving to the leading foot. However, there is a good weight transfer, a great weight transfer and then you have the best possible or optimal weight transfer and hip/leg action from the “3 To 9” phase once the “down” move using the 1st Lever has been completed. The “3 To 9” phase of course is where the club shaft does from parallel to the ground half way down to parallel again post-impact. So, I was visualizing what I would do from the “3 O’Clock” position to avoid the early rotation or trailing heel lift, when all of a sudden, the hip & leg action from last night’s arm bar lesson popped into my head! Basically, the hip/leg action for the arm bar would produce a certain feel, and the optimal action from the “3 To 9” position in the down swing… should produce the same “feel” if you’re doing it optimally. And now I’ve got it. Athletic motion and leveraging motion are universal, whatever the sport or discipline, my friends – I’ve been saying it for years, but having been introduced to something new and very physical and intrinsically linked to leveraging with the hips and legs – I can’t wait to see what the swing looks like and performs when I get back to hitting balls! And of course, I’ll be working on how to best explain this concept at a later time, when I have the swing data to back up what I already know is going to be pretty nifty. P.S. – If anyone in the Durham Region-East Toronto/Markham area is thinking of taking up Brazilian Jiu Jitsu – Prof J’s brand new dojo is an awesome place to spend free evenings from Monday-Thursday. Class size is going to grow but right now, you’ll get a lot of personal attention from the man himself. And of course, you’ll run into me and at times, The Welshman there! Back Pain or Back Injury Swinging a Golf Club? 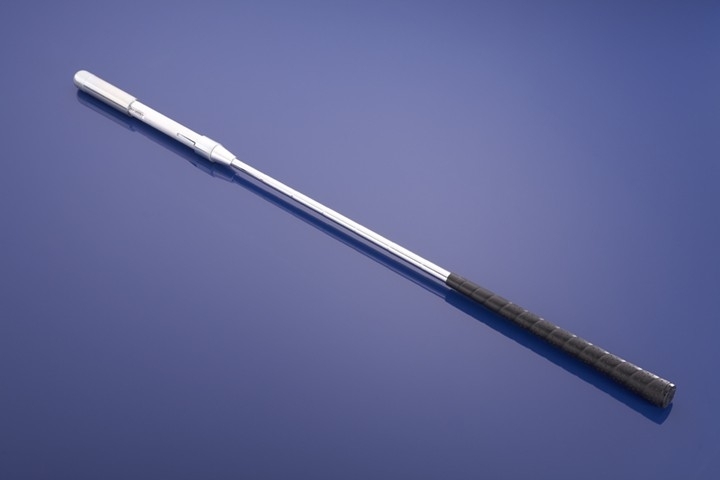 Lacking Power, Speed, Distance and or Consistency? Need A Swing That Is More Easily Maintained? This entry was posted in Brazilian Jiu Jitsu, Elemental Jiu Jitsu, Jason McDonald, Leverage, MCS Golf Swing, Mike Dunaway, One Major Move, Pivot and tagged Brazilian Jiu Jitsu, DJ Watts, Elemental Jiu Jitsu, Jason McDonald, Leverage, MCS Golf Swing, Mike Dunaway, One Major Move, WAX Golf on December 12, 2018 by D Watts. It is amazing to me just how many different sports have or incorporate the same moves in all/part of their action. This is where the Modern Golf Swing has school hoodwinked the trusting public, Rick. Trying to do make out that the rules of physics and motion are different in golf as opposed to other sports. 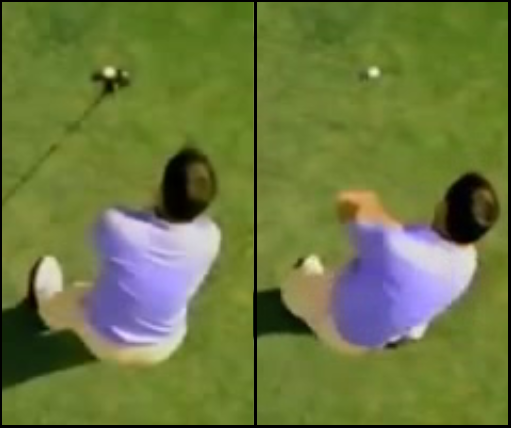 Flatly incorrect and as I’ve said, any “Modern” golf swing guru would be thrown head-first out of any sporting facility, attempting to teach the same garbage in another sport. “Using the ground, vertical lift, jumping for power, torquing with resistance…” – give me a break. I have tremendous respect for the teachers, instructors and coaches in all sports and disciplines who improve their students’ and athletes’ technique and performance through fundamentals and mechanically-sound application. For junk science, junk gurus and junk analysts, I have none. I used to be in a kick boxing school. The Master was an Indonesian fellow 5’6″ 150 pounds. He would regularly punch holes in the heavy bag. The power came from his HIPS. Amazing leverage and speed on this guy. Tremendous strength required, as well, which can be built through training. I have always thought I had pretty good strength in my hips and legs. Right now, working my way through the basic White Belt maneuvers, I realize how little I have compared to what I need for the proper technique. It’s a challenge, but I’m up to it! New “E = MCS” Video! “The MCS Golf Swing” eBook Now Available! Get $25 Off The SwingRite Training Club! This site is the public blog & home of the “MCS,” the Mechanically Correct Swing Theory and the common sense approach to the application of athletic motion.